Saturday, May 17, 10AM - 4PM: Indies First Storytime Day! Description: Join our small group to talk about some great books! Open to all readers grades 7 and up. Registration is required; please either call the library or stop by the Information Desk to sign up. This month's book is The Outsiders by S. E. Hinton. Chicago Public Library discusses The Outsiders. 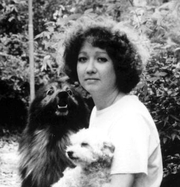 S. E. Hinton is currently considered a "single author." If one or more works are by a distinct, homonymous authors, go ahead and split the author. S. E. Hinton is composed of 4 names. You can examine and separate out names.